As of October 2016, 60 million businesses have a Facebook page. Why wouldn’t they? With over a billion active monthly users on Facebook, businesses can quickly expose their product or services to prospective customers. And since pages are free to create, there is zero overhead — initially, anyway; a portion of any advertising budget should include paid advertising on Facebook, which can target the exact demographics of your ideal customer. When someone likes your page, they automatically follow it. But this doesn’t mean they’ll always see your post. Under the follow tab are two options: Default or See First; the latter is the following a business wants because that business’s post feed will always show up on the visitor’s page. With that said, you obviously want your audience to not only like a page, but “See First” follow it. The easiest way to do this is simply ask your audience. Don’t push it, simply ask and offer a valuable reason of why they should see your posts first. Let’s get back to the basics of garnering page likes. Like any good marketing initiative, a strategy should be developed. The following are ten tactics that can be used to increase your Facebook page fans. The key to any successful digital marketing campaign begins with engaging content. From blog posts on your website to an infographic in a newsletter, quality and relevant content is a must for sustained success. The same goes for Facebook. Make sure all posts add value in some way, either through entertaining or providing solutions to problems for your visitors. Just as the actual copy should engage, so should photos. Also, make sure a photo is used in every post; Buzzsumo says posts experience 2.3x engagement when an image is used. This all leads to your current page followers sharing your content on their personal pages, which helps attract new page likes. Remember, content truly is king across all online marketing channels. In regards to promoting yourself in posts, the standard practice across various verticals is 20% promotional and 80% non-promotional. Last summer, Facebook said that users spent 3x more time watching Live Video over traditional video. This trend continues, and all the top companies are using them, from Dunkin Donuts to Airbnb. Live video engages by nature and helps others share, which will assist in reaching a new audience and bolstering likes. A great example is a Buzzfeed live video from last summer. The live video showed two employees trying to explode a watermelon with rubber bands, something you’d expect from the masters of click bait material. The results? Facebook reported that during the 45-minute video’s peak, over 800,000 viewers were watching. Talk about going viral, and many of those watchers joined the page because of the traction the video was receiving. I recently started my own Live Video feed, “Ask Me Anything,” which provides insights on SEO, personal development, and crushing it in business and life. I answer questions from viewers, and it’s helped further build my personal brand, all businesses I’m associated with, and of course my Facebook Likes. This is simple — have a routine for posting. If you have many divisions, post X amount of engaging content for each division at scheduled times during the week. For example, in the digital marketing world, content marketing posts may run once a day around noon, whereas technical SEO related content may run every day around 3 pm. Also, make sure experts are helping create the posts for their respective divisions. Capture an audience and make the feed consistent, week-by-week, day-by-day. Humans crave consistency, and it will help your online social media presence. Cross-channel marketing in social media is vital for new Facebook page likes. Have Instagram, Twitter, LinkedIn, or Snapchat accounts? Promote your Facebook page across all of those channels. A good rule is to promote your Facebook page on these channels at least bi-weekly to capture the most amount of likes to your Facebook page from new viewers. Who doesn’t like a contest, or anything free for that matter? Be creative and create a few contests every month, and give away free swag or services. Make sure the content engages, which will help your audience share your page, and attract their friends. Although over 60 million businesses are on Facebook, only 87% of posts are responded to by business page owners. Be part of the 13% that actually responds, and witness more traction in current page like interaction, which will lead to more shares and new likes. The size of the business shouldn’t matter; if you’re larger, you’ll have your own social media people who take care of all this work. But for smaller companies, recruit — don’t appoint — team members who display a passion for Facebook outreach. Divide the workflow of each of these social responders by expertise for the subject of engagement. 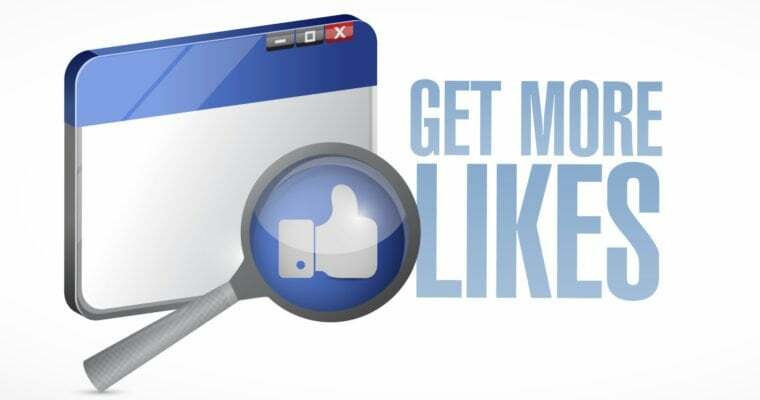 If you want to build your Facebook page likes quickly, paid advertising is a must. Facebook makes it simple to purchase and create ads, and allows you to target whatever demographic you need. Keep the ads simple, and provide a valuable reason why the targeted audience should like your page. Here’s where you also mention that you run frequent contests and offer valuable information respective to your industry. Regularly add valuable comments and respond to other businesses within your market, which attracts their audience. Just make sure you’re posting as your page and not your personal pages, a mistake that’s easy to make. Besides having a plugin on your website for social media likes, also invite people to like your page via native advertising within your blog posts. Practices vary on this, either with a text link or a small banner-style ad that says “Like us on Facebook” or something as simple. Also, if your web platform allows it, use a plugin that provides Facebook sign-ins, which will help garner new likes. This one works well. Think about it: “Like our Facebook Page, Receive 10% Discount.” That’s a value add right there. Make it even more appealing that the new likes also have to engage with content for a few weeks before they receive the discount. For any business size, large or small, having a Facebook presence is a must. The more likes, the better social signal you will provide for not only your audience and customers but also others within your industry. The stronger the social signal, the stronger the brand. Start utilizing the tips above to not only build your Facebook followers but become a leader of the competition.